The "golden years" American seniors anticipate enjoying may require actual gold, or the dollar equivalent, to pay for rising healthcare costs; a recent study has revealed seniors face a concerning cost burden due to a healthcare system in the United States that spends almost double per person what any other developed nation in the world spends. 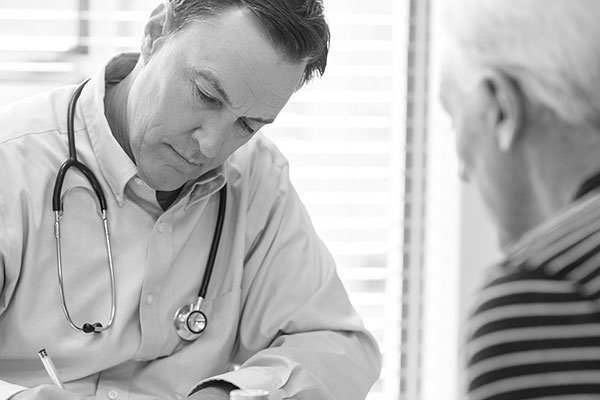 West Health and Gallup's recent report, The U.S. Healthcare Cost Crisis, included the findings of a poll of more than 3,500 Americans about healthcare cost and value. The study discovered that seniors have great anxiety over healthcare costs, and for good reason: millions of seniors cannot afford care and billions of dollars are being paid for medication. 77% of seniors, defined as those 65 and older, reported being concerned that rising healthcare costs will result in significant and lasting damage to the economy. This forward-looking pessimism is pervasive, with 92% of the older population expecting that healthcare costs will increase (73%) or stay about the same (19%). "[Last] Thanksgiving, I helped a person who said, 'I'm going to drop my Medicare drug plan.' Well, that's a bad move because if he ever takes a lot of drugs, he'd pay a lifetime penalty. He decided to keep it. And I was like, 'OK, let's take a look then.' I saved him an additional $750. Just by looking. There ought to be a way for people to get decent coverage, so they can access good care without walking through a minefield of potential mistakes; I don't think that's great for 89-year-olds with cancer." But the impact of high healthcare costs goes far beyond perceptions. Seniors are feeling the effects on their finances and health. Older Americans pulled an estimated $22 billion from long-term savings to pay for their healthcare in the past 12 months. Such savings withdrawals can be problematic for younger Americans, but for seniors, the impact can be severe. Many seniors are living off long-term savings, so this can put their day-to-day solvency at risk. 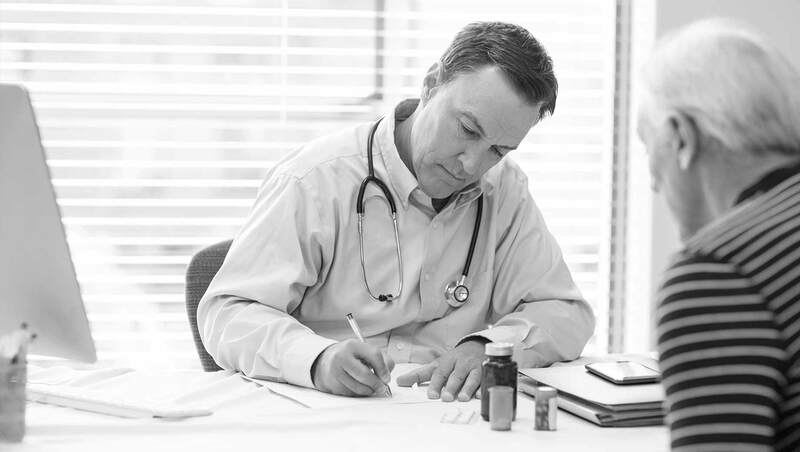 The cost of prescription drugs is a large part of the cost hindrance for seniors. Medicare projects spending $116 billion on retail prescription drugs in 2019. "I'm a 61-year-old male, married 40 years, no children. Both my wife and I are heavily considering our retirement, and one of the biggest hurdles is our healthcare. We're hoping something positive will happen in our healthcare system, so we can enjoy our retirement." But perhaps even more frightening than the financial risks are the ramifications for older Americans' health. An estimated 7.5 million seniors are unable to pay for medicine prescribed to them because they don't have enough money. And to make the matter worse, seniors reported that 80% of the prescriptions they cannot afford are for a somewhat or very serious health condition. 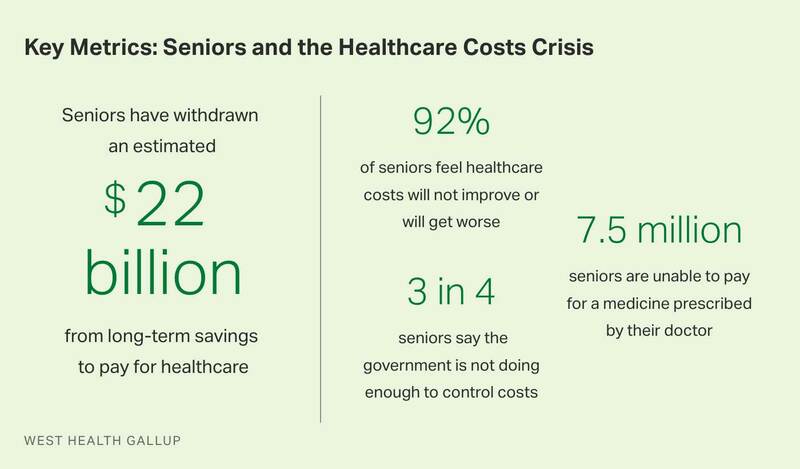 Seniors, like many other Americans, place responsibility on government to rectify healthcare costs, though there is little confidence in elected officials' ability to solve the problem. Eighty-two percent of those 65 and older said federal and state government is partially to fully responsible for rising healthcare costs, yet an overwhelming majority agree government is not doing enough to ensure that general healthcare or prescription drugs are affordable (75% and 80%, respectively). These perceptions should be a clarion call for elected officials, especially since healthcare was the top-rated issue for voters last November and seniors have historically had a strong turnout at the polls.